It's serving fresh pasta made in-house daily, and it has gluten-free, dairy-free and vegan options. Tucked away off Little Collins Street, there's a new Italian place that'd put a smile on nonna's face. A passion for quality Italian cuisine is evident at Pentolina, which means 'little saucepan' in Italian, with a respect for cooking instilled into head chef Matt Picone by his father, who migrated to Australia from Puglia in the 60s. Learning about the importance of fresh food and ingredients at his father's Sydney restaurants throughout the early 90s, Matt decided to uproot and move to Melbourne in 1997. After paying a visit to much-loved espresso bar and eatery Pellegrini's, Matt knew he had arrived in the right place. "I loved my visit to Pellegrini's so much that I went up to the boss, and said here's my number if you're ever looking for someone," says Matt. Beginning work with the stalwart restaurant the very next night, Matt credits the place as crucial to his food journey and the opening of Pentolina 21-years later, which he co-founded with his wife Julia. At Pentolina, the focus is firmly on classic Italian fare with rich, but unpretentious flavours. As well as pasta that's made fresh each morning, there are some carefully chosen entrees and sides, like prosciutto melone and calamari, plus classic Italian desserts like tiramisù and panna cotta. The daily house-made pasta is vegan and the menu is littered with GF, DF and V symbols, which means that it's the perfect place to dine if you love Italian fare, but also have dietary requirements. As there may be traces of allergens in dishes, however, it's always best to check with staff before ordering. Drinks are equally exciting — and Italian — with spritzes, twists on negronis, a lineup Italian beers and pinot grigio, sangiovese and prosecco on tap. Designed by Cremone-based firm Biasol Interior Design, Pentolina's fit-out is something to admire with burgundy, brass, terrazzo and pink marble accents creating a distinctly European dining experience that still feels fresh and modern. 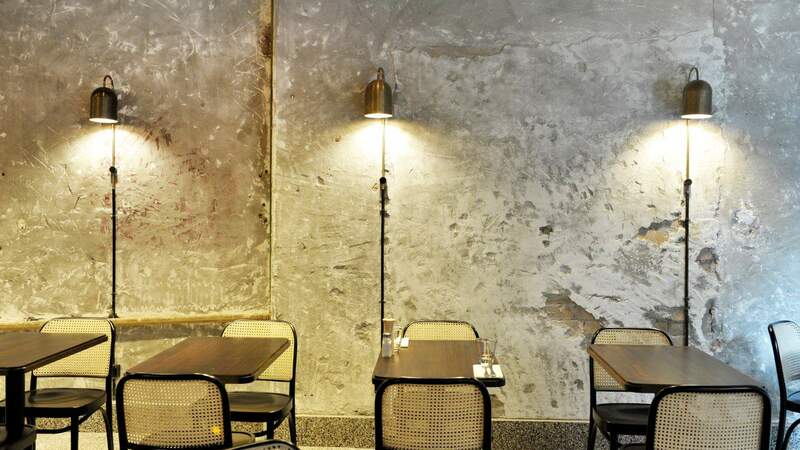 Biasol director Jean-Pierre Biasol says that the fit-out took cues from historic Italian streets, "The renovation of the century-old building revealed hand-rendered concrete walls that have been refined to provide a patina-ed backdrop suggesting the stone façades of historic Roman laneways." Find Pentolina at 2/377 Little Collins St, Melbourne CBD.